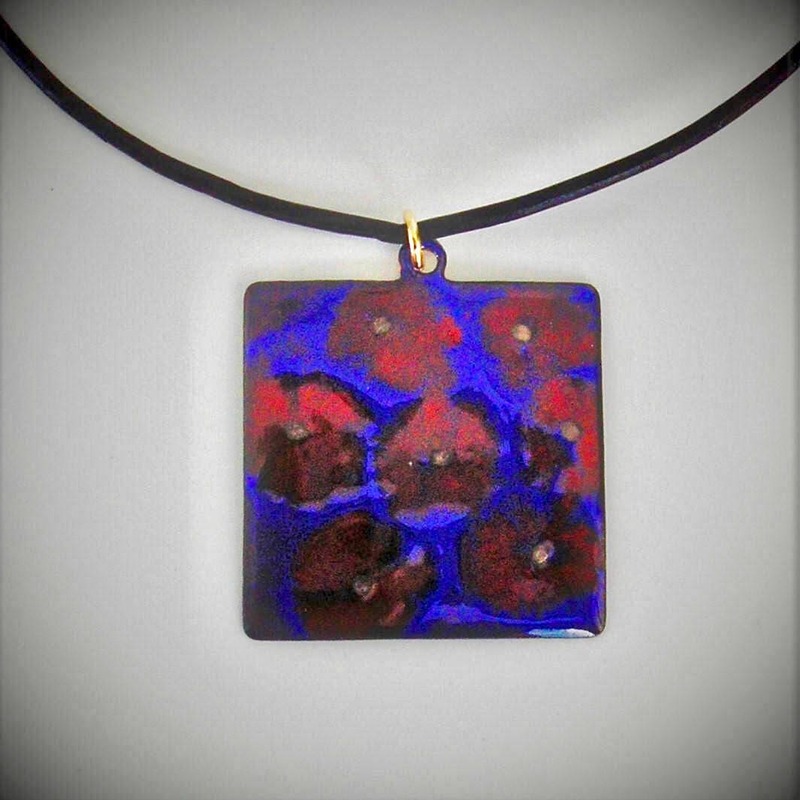 Colorful EnamelArt pendant features Crimson & Azure colored vitreous enamel on copper with gold embellishments. pendant measures approx. 1 3/8" square, and is suspended by a 14k gold filled loop from a black leather neckcord with gold filled clasp.